(BNW Required) Adds the Wampanoag, led by Massasoit, to the game. 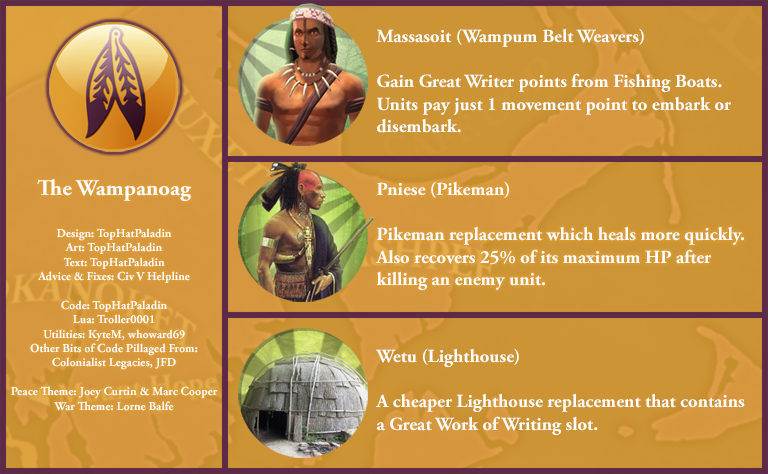 Adds the Wampanoag, led by Massasoit, to Civilization V as a custom civilization. Requires Brave New World.